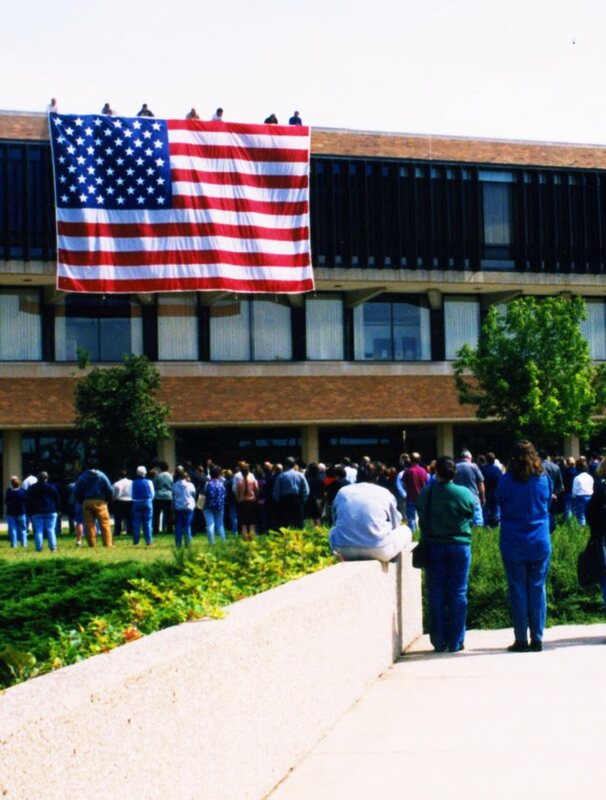 The University of Illinois Springfield will remember the victims of the Sept. 11, 2001 terrorist attacks through a variety of events planned on campus. The events coincide with the 10th anniversary of 9/11 and will take place between Fri., Sept. 9 and Wed., Sept. 14, 2011. Campus Moment of Silence: The entire UIS community is invited to gather at the Colonnade on Fri., Sept. 9 at 9:50 a.m. A moment of silence will take place at 9:59 a.m., the time the South Tower collapsed. First responders admitted free to UIS soccer game: Law enforcement officers, firefighters, EMTs, all military members, veterans and their families who show an ID or badge will be admitted free to the UIS vs. Maryville soccer game on Fri., Sept. 9. The women’s game starts at 5 p.m., followed by the men’s game at 7:30 p.m. at Kiwanis Stadium. There will be a moment of recognition of those in attendance and a moment of silence for those who have passed prior to each match of the night. AmeriCorps 9/11 Day of Service: A group of 12 UIS students will be traveling to Joplin, Mo. to help with tornado relief as part of the AmeriCorps 9/11 Day of Service. The students will leave campus on Fri., Sept. 9 and return on Sunday, Sept. 11. The student volunteers will be working with the United Way to clear debris and assist with supply intake, sorting, and distribution. Movie Screening of “United 93”: UIS Student Life presents a screening of the film “United 93”, which provides a real time account of the events on United Flight 93, one of the planes hijacked on 9/11 that crashed near Shanksville, Penn. when passengers foiled the terrorist plot. The screening will take place on Sun., Sept. 11 at 2 p.m. in Brookens Auditorium. “9/11 Ten Years After: America & the World” Brown Bag: The discussion will be moderated by Co-Director of UIS Global Studies Hilary Frost-Kumpf. Pinky Wassenberg, dean of the College of Public Affairs and Administration, along with Political Science faculty members Adriana Crocker, Ali Nizamuddin and Stephen Schwark will take part. 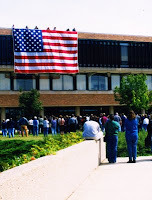 The brown bag will take place on Wed., Sept. 14 from Noon to 1:30 p.m. in Public Affairs Center (PAC) Conference Room F.
For more information on 9/11 related events at UIS, please contact Derek Schnapp, director of Public Relations at 217/206-6716 or email dschn3@uis.edu.